If you can manage to build a community of fans and followers who appreciate the value you provide and enjoy “hanging out” on your profiles, you can compel people to sell themselves on what you offer. Social media involves an indirect method of selling. Many “newbies” to social marketing will make the mistake of blatant and excessive self-promotion and when they do not see any increase in profits they abandon their quest before they even understand why the campaign was a failure. Social media is not a platform for advertisement; it does not function like a typical advertising campaign. Its purpose is to create a buzz around your brand and to help you offer value and a community environment to those in your target audience. It is a great tool to showcase the real nature of the personality behind the brand and to establish an emotional connection with fans and followers. Once you build a nice community (no, this does not happen overnight! ), you will draw more people to your brand and they will begin to remember you and what you offer. When these fans or followers are ready to buy or request services, who do you think they will choose? Bob’s Sneaker Shack who is busy sending links to everyone showing people how great his sneakers are? Or your store which is actively involved with its customers and provides value and a chance for people to share their opinions? With the top brands on the web getting involved with social media in a strong capacity, I believe people will begin to de-value those brands that are not found on a social networking site…that is, if they don’t already. 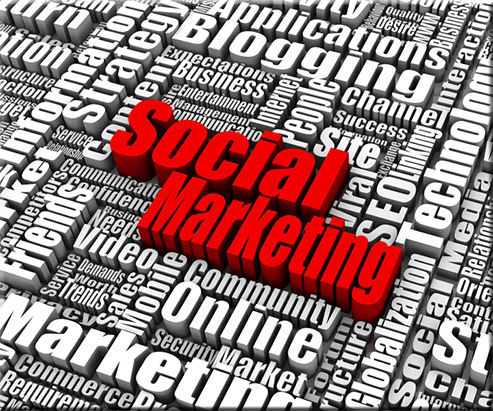 Social marketing is hip, current and not going anywhere.